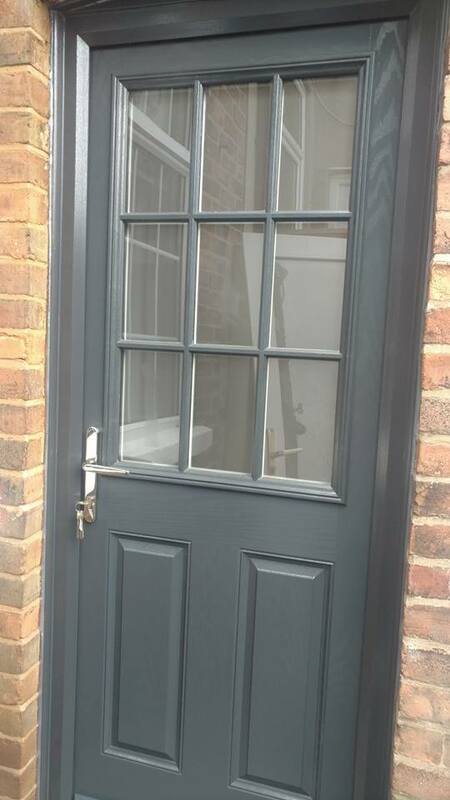 The Bespoke Door Installations team are famed for their work fitting brand new front doors, but did you know that we also provide back doors too? We’ve been doing this just recently, working on Black front and rear doors fitted in Chesterfield – the Brimington area to be specific. As always, both doors were completely bespoke to the customers tastes, having been designed to their exact desires and specifications using our simple yet in depth door designer tool. 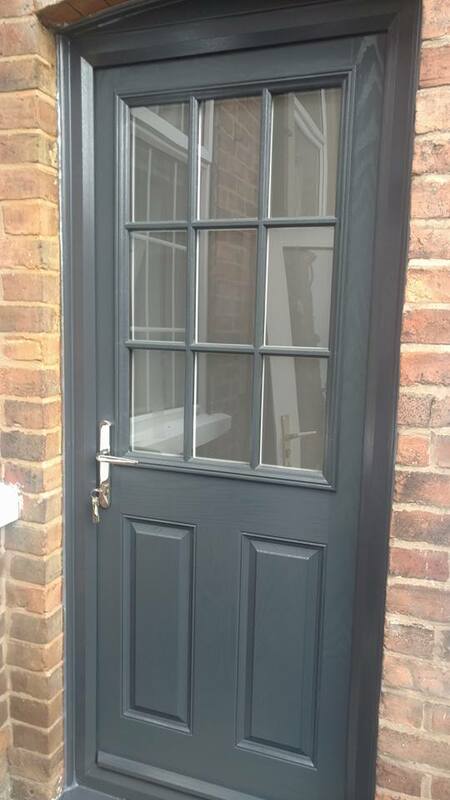 This time, the customer chose a stylish design, with both doors coming in an attractive black, with the front door featuring 4 windows, and shiny handle and letter plate. The rear door meanwhile featured a stylish 9 panel window and came in the same black colour with the same high quality finish. 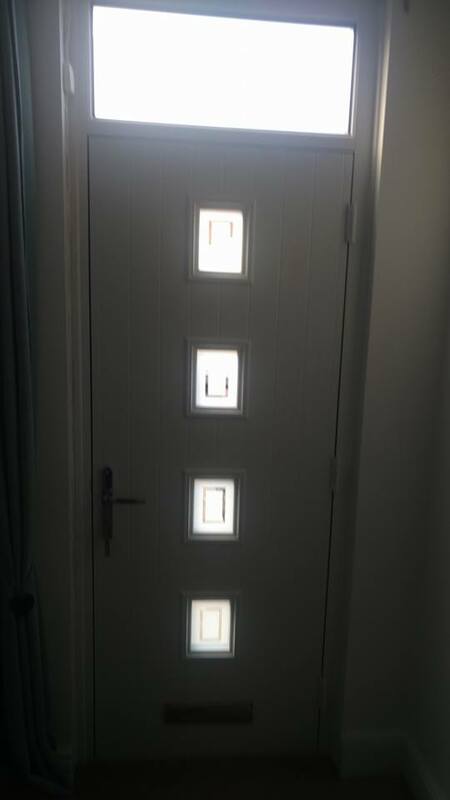 As both of the doors that we fitted were composite doors, they also provided the home owner with a range of other fantastic benefits such as durability, security and energy efficiency. 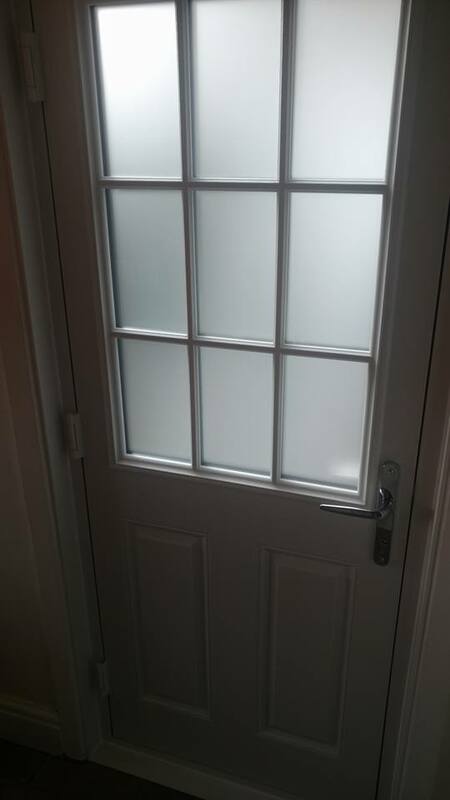 Composite doors are one of the best available when it comes to prevent draughts and keeping the heat in. Furthermore, as part of our own secure guarantee, the homeowner will receive £500 of cashback if either of their doors are ever broken in the event of a break in. 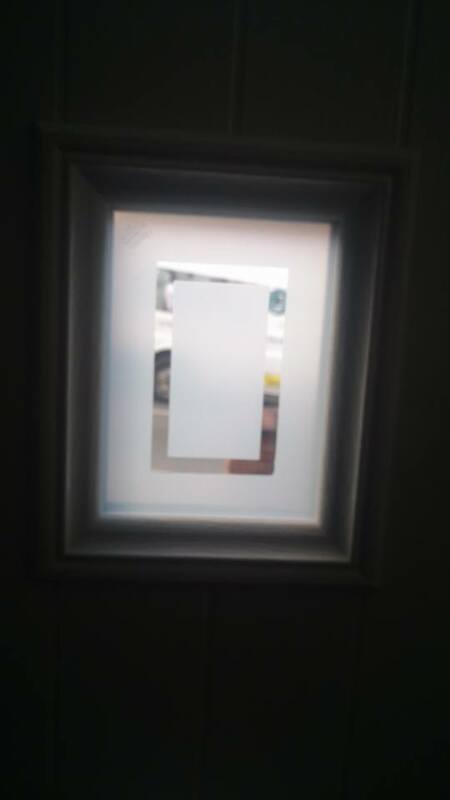 Additionally, as with every door we fit, both of the doors were fitted for free, and we also take your old doors off of your hands, disposing of them for you so that you don’t have to. 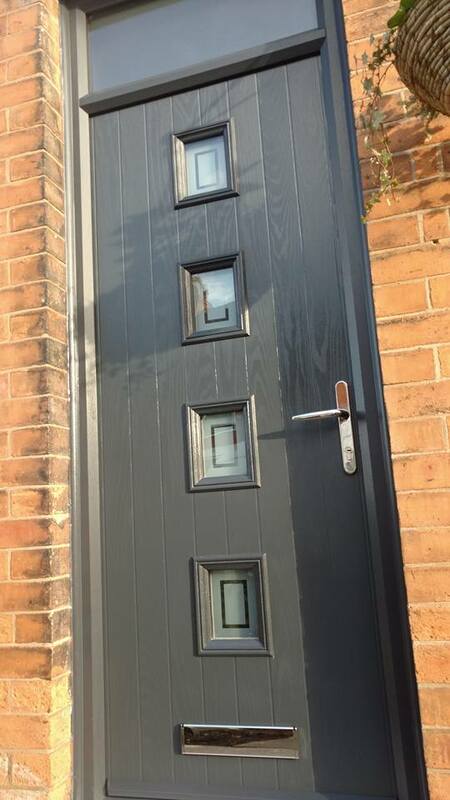 See below for some photos of the fabulous black front and rear doors fitted in Chesterfield by our team. 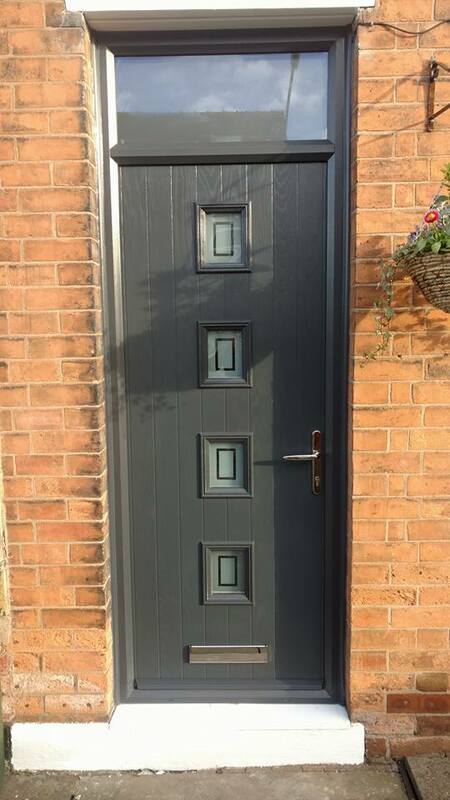 For more information regarding the genuine door stop doors fitted in Chesterfield by our team, please don’t hesitate to give us a call today on 01623 325000, or why not give our design a door tool a go and create your very own bespoke door.